Garrett Graff is a magazine journalist who writes about politics, technology and national security. One of his areas of expertise: Robert Mueller, the former director of the FBI appointed in 2017 as special counsel to oversee the federal government’s investigation into possible Russian interference with the 2016 presidential election. Graff’s first big piece on Mueller was a profile that ran in the Washingtonian in 2008. Since then, he has written extensively about him. His book The Threat Matrix, published in 2012, offers a close look at Mueller in his role as the FBI’s sixth director. Just this week, the reading platform Scribd launched Graff’s ebook and audiobook Mueller’s War, which examines Mueller’s time as a Marine in the Vietnam War, as part of its Scribd Originals original content initiative. The public has been waiting nearly two years for Mueller to complete his investigation. Late last month, Mueller submitted his final report to Attorney General William Barr, who released only a four-page summary of Mueller’s main conclusions in a letter to Congressional leaders on March 24. It’s unclear whether and when the entire report, which reportedly exceeds 300 pages, will be released. 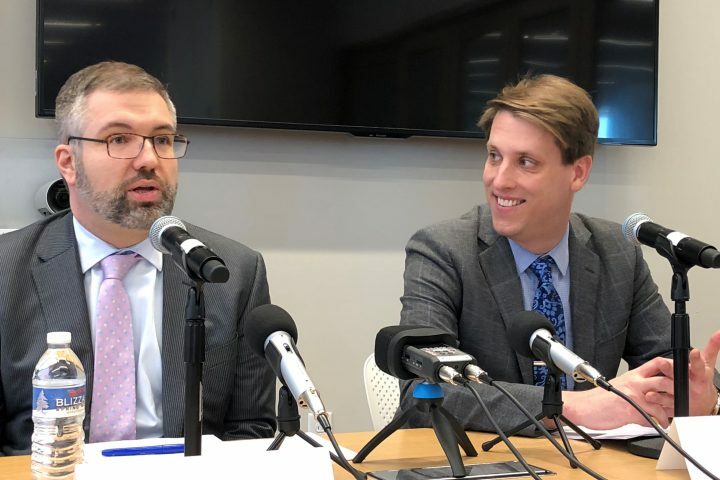 Graff spoke publicly for first the time about Barr’s summary of the Mueller report during a recent event hosted by the Harvard Kennedy School’s Shorenstein Center on Media, Politics and Public Policy, which runs Journalist’s Resource. While Graff was visiting the center, JR met with him briefly to ask more about his take on the issue and journalists’ coverage of the investigation and its findings. Here’s an excerpt from our interview with Graff — eight of our questions and his responses, which offer insights into the importance of developing government sources over the long-term and how local newsrooms should cover Mueller’s investigation results. What do you think has been missing from news coverage of the Mueller investigation and Barr’s summary? For example, are journalists missing any particular angles or leaving out important questions? Can we trust that Barr’s summary is accurate and reflects the high points of the Mueller report? According to Barr’s summary, Mueller did not make a prosecutorial decision on the obstruction of justice question. Mueller wrote that while his report “does not conclude that the President committed a crime, it also does not exonerate him.” Knowing what you know about Mueller, what does this signal for you? During your talk today, you said that Mueller may have approached this from a political angle instead of a criminal one. Can you talk more about that? Journalists today are often generalists who parachute into news stories and write about people after seeing them at a press conference for a few minutes. Can you talk about the value of spending time on a beat, getting to know key government officials for many years? If you were a reporter at a local paper — say the Wichita Eagle or the Miami Herald — how would you be reporting about the Mueller report and its implications? Thinking about the news coverage so far, in what areas have journalists gotten something wrong — or not quite right? Is there anything else journalists should know about their coverage in terms of its strengths or how it can be improved? If you’re looking for more journalism tips, check out these Q&As with Washington Post reporter Eugene Scott, who talks about covering identity politics, and Harvard Business School professor Eugene Soltes, who shares advice on interviewing white-collar criminals.